As I write this we are a third of the way through 2013 (time is important here) and I can say with hand on heart this is the best popular science book I have read all year. Lee Smolin’s book is largely accessible (more on this later) and simply mind-boggling in its scope. What he does here is take on time, and specifically the position of time in physics. Even taken as a simple book on time this is brilliant. The fact is, the majority of books that claim to be about time tell you nothing. 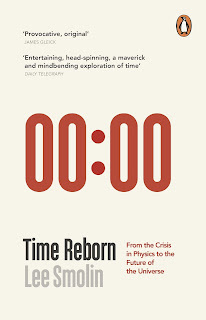 It’s striking that A Brief History of Time tells us that amongst a list of deep scientific questions that have answers suggested by ‘Recent breakthroughs in physics, made possible in part by fantastic new technologies’, is ‘What is the nature of time?’ But you can search the book from end to end for any suggestion of what time is or how it works. There is plenty on how we observe time, and how interaction with matter can change these observations, but nothing deeper. Smolin gives what is, for me, the best analysis of the nature of time from a physics viewpoint in a popular science book I have ever seen. He goes on to describe how most physicists consider that ‘time does not exist’, and comes up with an approach where time becomes real in physics. Now I do have one issue with Smolin here. He says that amongst his non-scientific friends ‘the idea that time is an illusion is a… commonplace.’ This is garbage (or at least his friends are non-representative). 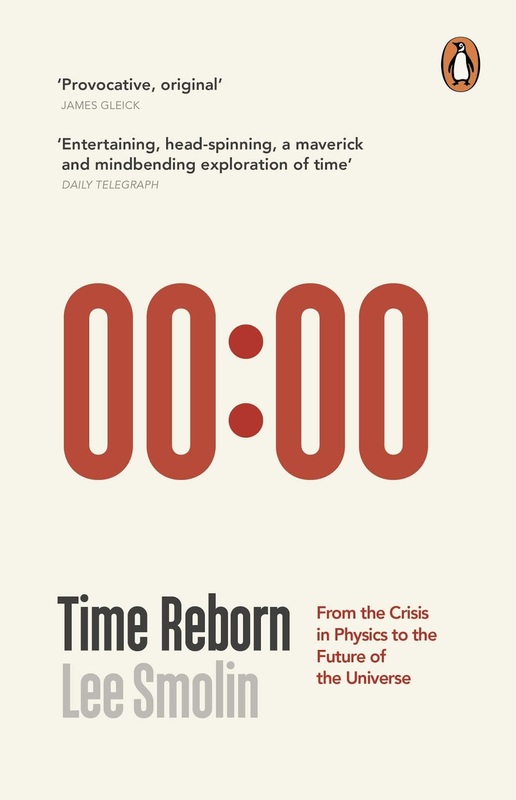 The vast majority of people who aren’t physicists or philosophers would say ‘Of course time exists.’ However, Smolin sets off to first persuade us it doesn’t, using the most common arguments of current physics, and then to show how this is a mistake. In fact, I think the reason most people wouldn’t agree is because it isn’t really true that modern physics says time doesn’t exist. What it says is that the idea of time as a moving present that heads from the past into the future isn’t real, and that there are plenty of concepts in physics like natural laws that appear to be outside of time, and so time isn’t as fundamental as people think. Nor, relativity shows us, is it absolute. This isn’t the same as something not existing or being an illusion, and I think the physicists who use this label have spent too much time talking to philosophers. Dogs aren’t fundamental to the laws of physics, but this doesn’t mean they don’t exist. Nonetheless, current mainstream physics does prefer time to be kept in a box – and this is where Smolin breaks out. He shows us that pretty well all of physics is based on the idea that we are dealing with closed systems, where in reality there is no so such thing – meaning that it is quite possible that pretty well all existing physics is just an approximation. And he comes up with a mechanism where time, something that actually ticks by and has a universal meaning, can exist (though at the expense of space being quite so real as we thought). In doing this, Smolin will have irritated a whole lot of physicists. Some will simply not agree – any string theorists, for example, would dismiss his loop quantum gravity viewpoint. Many others will simply not be able to cope. Physicists are, on the whole, a fairly conservative bunch (with a small ‘c’) – they aren’t very good at coming with radical shifts in viewpoint like this. Of course this doesn’t make Smolin right, but it is a fascinating bit of speculation. The book isn’t perfect. Smolin’s writing style is workmanlike, but suffers from too academic a viewpoint – he doesn’t have the common touch. Oddly, it’s not so much that he baffles us with science, but rather he baffles us with labels which don’t have enough science attached. He has a tendency to use terminology and then say effectively ‘but you don’t need to know what that’s all about.’ I think popular science is much better if you avoid the jargon and instead explain what lies beneath. Also he uses really scrappy hand-drawn illustrations that I suspect are supposed to make them look more friendly and approachable, but actually makes them practically incomprehensible. These are minor moans though. Whether or not you agree with the physics, this is a book to get you thinking, awash with ideas and totally fascinating. It isn’t the easiest popular science book to understand – it is very much of the ‘read each sentence slowly, and some times several times’ school, yet it is a superb contribution to the field that really puts that cat among the pigeons. Three cheers for Lee Smolin who is, for me, apart from lacking that common touch, the nearest thing we have in the present day to the late, great Fred Hoyle.